well it was a Nova 64GB SSD, which back then was a life changing experience. their products, simply click here. 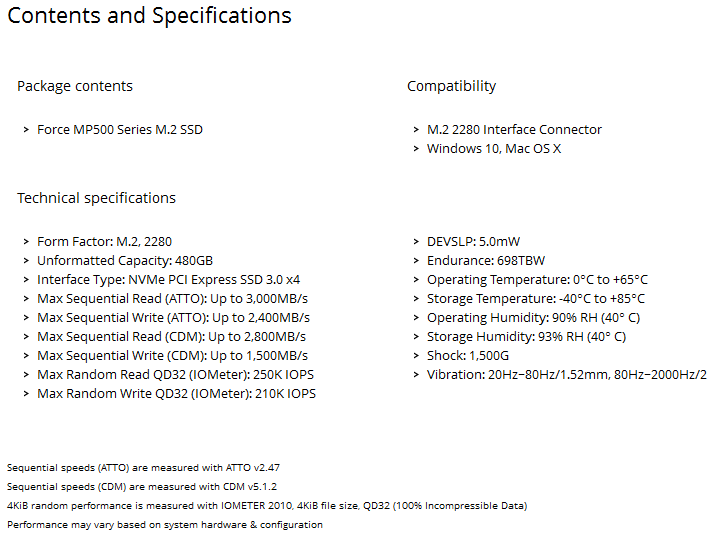 look at the packaging and its contents, followed by some benchmarks. 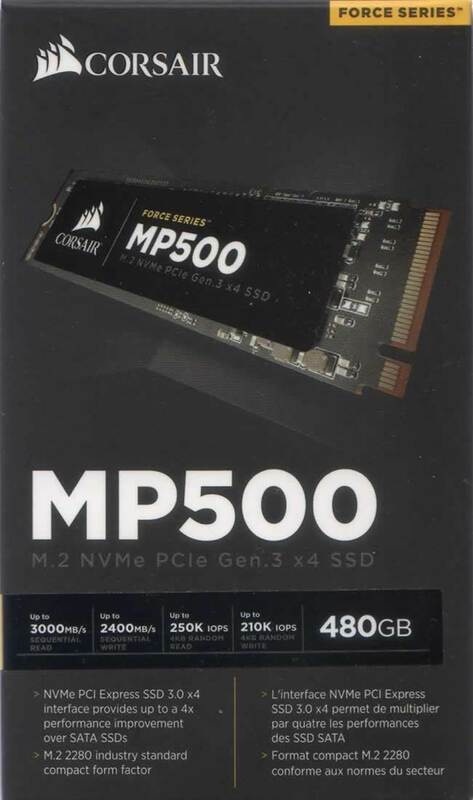 Force MP500 NVMe SSD. We will start with the package. Also the rear of the box. 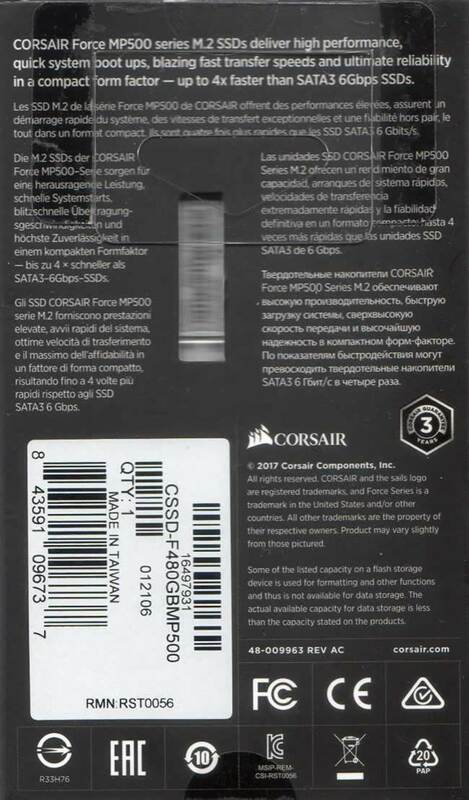 The front of the Corsair Force MP500 SSD. 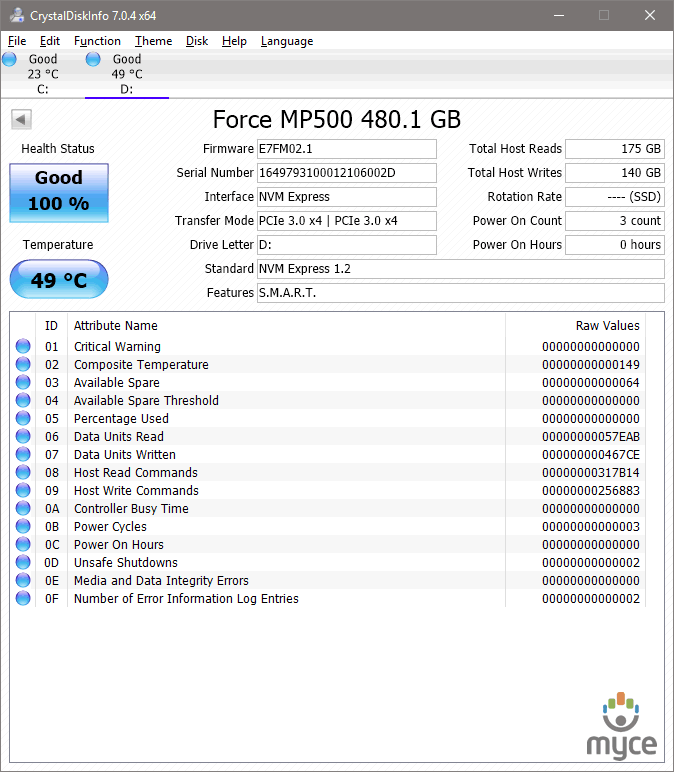 is using MLC NAND made by Toshiba, and it uses a Phison PS5007-E7 controller. usually a small price to pay for all that additional speed.